General relativity, Einstein's theory of space, time, and gravity, allows for the existence of singularities. On this nearly all agree. However, when it comes to the question of how, precisely, singularities are to be defined, there is widespread disagreement. Singularties in some way signal a breakdown of the geometry itself, but this presents an obvious difficulty in referring to a singulary as a “thing” that resides at some location in spacetime: without a well-behaved geomtry, there can be no “location.” For this reason, some philosopers and physicists have suggested that we should not speak of “singularities” at all, but rather of “singular spacetimes.” In this entry, we shall generally treat these two formulations as being equivalent, but we will highlight the distinction when it becomes significant. The first is that a spacetime has a singularity just in case it contains an incomplete path, one that cannot be continued indefinitely, but draws up short, as it were, with no possibility of extension. (“Where is the path supposed to go after it runs into the tear? Where did it come from when it emerged from the tear?”). The second is that a spacetime is singular just in case there are points “missing from it.” (“Where are the spacetime points that used to be or should be where the tear is?”) Another common thought, often adverted to in discussion of the two primary notions, is that singular structure, whether in the form of missing points or incomplete paths, must be related to pathological behavior of some sort on the part of the singular spacetime's curvature, that is, the fundamental deformation of spacetime that manifests itself as “the gravitational field.” For example, some measure of the intensity of the curvature (“the strength of the gravitational field”) may increase without bound as one traverses the incomplete path. Each of these three ideas will be considered in turn below. There is likewise considerable disagreement over the significance of singularties. Many eminent physicists believe that general relativity's prediction of singular structure signals a serious deficiency in the theory; singularities are an indication that the description offered by general relativity is breaking down. Others believe that singularities represent an exciting new horizon for physicists to aim for and explore in cosmology, holding out the promise of physical phenomena differing so radically from any that we have yet experienced as to ensure, in our attempt to observe, quantify and understand them, a profound advance in our comprehension of the physical world. 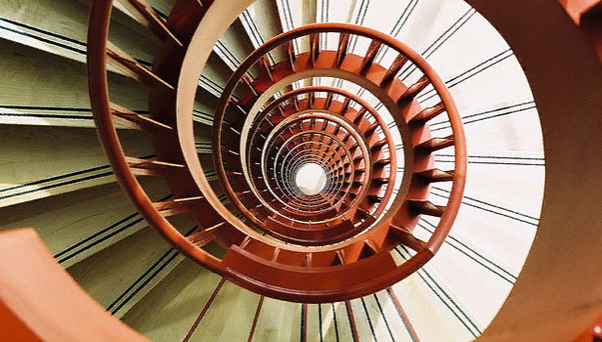 A path in spacetime is a continuous chain of events through space and time. If I snap my fingers continually, without pause, then the collection of snaps forms a path. The paths used in the most important singularity theorems represent possible trajectories of particles and observers. Such paths are known as “world-lines”; they consist of the events occupied by an object throughout its lifetime. That the paths be incomplete and inextendible means, roughly speaking, that, after a finite amount of time, a particle or observer following that path would “run out of world,” as it were—it would hurtle into the tear in the fabric of spacetime and vanish. Alternatively, a particle or observer could leap out of the tear to follow such a path. While there is no logical or physical contradiction in any of this, it appears on the face of it physically suspect for an observer or a particle to be allowed to pop in or out of existence right in the middle of spacetime, so to speak—if that does not suffice for concluding that the spacetime is “singular,” it is difficult to imagine what else would. At the same time, the ground-breaking work predicting the existence of such pathological paths produced no consensus on what ought to count as a necessary condition for singular structure according to this criterion, and thus no consensus on a fixed definition for it. In this context, an incomplete path in spacetime is one that is both inextendible and of finite proper length, which means that any particle or observer traversing the path would experience only a finite interval of existence that in principle cannot be continued any longer. However, for this criterion to do the work we want it to, we'll need to limit the class of spacetimes under discussion. Specifically, we shall be concerned with spacetimes that are maximally extended (or just maximal). In effect, this condition says that one's representation of spacetime is “as big as it possibly can be”—there is, from the mathematical point of view, no way to treat the spacetime as being a proper subset of a larger, more extensive spacetime. If there is an incomplete path in a spacetime, goes the thinking behind the requirement, then perhaps the path is incomplete only because one has not made one's model of spacetime big enough. If one were to extend the spacetime manifold maximally, then perhaps the previously incomplete path could be extended into the new portions of the larger spacetime, indicating that no physical pathology underlay the incompleteness of the path. The inadequacy would merely reside in the incomplete physical model we had been using to represent spacetime. Once we've established that we're interested in maximal spacetimes, the next issue is what sort of path incompleteness is relevant for singularities. Here we find a good deal of controversy. Criteria of incompleteness typically look at how some parameter naturally associated with the path (such as its proper length) grows. One generally also places further restrictions on the paths that are worth considering (for example, one rules out paths that could only be taken by particles undergoing unbounded acceleration in a finite period of time). A spacetime is said to be singular if it possesses a path such that the specified parameter associated with that path cannot increase without bound as one traverses the entirety of the maximally extended path. The idea is that the parameter at issue will serve as a marker for something like the time experienced by a particle or observer, and so, if the value of that parameter remains finite along the whole path then we've run out of path in a finite amout of time, as it were. We've hit and “edge” or a “tear” in spacetime. For a path that is everywhere timelike (i.e., that does not involves speeds at or above that of light), it is natural to take as the parameter the proper time a particle or observer would experience along the path, that is, the time measured along the path by a natural clock, such as one based on the natural vibrational frequency of an atom. (There are also fairly natural choices that one can make for spacelike paths (i.e., those that consist of points at a single “time”) and null paths (those followed by light signals). However, because the spacelike and null cases add yet another level of difficulty, we shall not discuss them here.) The physical interpretation of this sort of incompleteness for timelike paths is more or less straightforward: a timelike path incomplete with respect to proper time in the future direction would represent the possible trajectory of a massive body that would, say, never age beyond a certain point in its existence (an analogous statement can be made, mutatis mutandis, if the path were incomplete in the past direction). The most obvious option is to define a spacetime as singular if and only if it contains incomplete, inextendible timelike geodesics, i.e., paths representing the trajectories of inertial observers, those in free-fall experiencing no acceleration “other than that due to gravity.” However, this criterion seems too permissive, in that it would count as non-singular some spacetimes whose geometry seems quite pathological. For example, Geroch (1968) demonstrates that a spacetime can be geodesically complete and yet possess an incomplete timelike path of bounded total acceleration—that is to say, an inextendible path in spacetime traversable by a rocket with a finite amount of fuel, along which an observer could experience only a finite amount of proper time. Surely the intrepid astronaut in such a rocket, who would never age beyond a certain point but who also would never necessarily die or cease to exist, would have just cause to complain that something was singular about this spacetime. We therefore want a definition that is not restricted to geodesics when deciding whether a spacetime is singular. However, we need some way of overcoming the fact that non-singular spacetimes include inextendible paths of finite proper length. The most widely accepted solution to this problem makes use of a slightly different (and slightly technical) notion of length, known as “generalized affine length.” Unlike proper length, this generalized affine length depends on some arbitrary choices (roughly speaking, the length will vary depending on the coordinates one chooses). However, if the length is infinite for one such choice, it will be infinite for all other choices. Thus the question of whether a path has a finite or infinite generalized affine length is a perfectly well-defined question, and that is all we'll need. A maximal spacetime is singular if and only if it contains an inextendible path of finite generalized affine length. To say that a spacetime is singular then is to say that there is at least one maximally extended path that has a bounded (generalized affine) length. To put it another way, a spacetime is nonsingular when it is complete in the sense that the only reason any given path might not be extendible is that it's already infinitely long (in this technical sense). We have seen that one runs into difficulties if one tries to define singularities as “things” that have “locations,” and how some of those difficulties can be avoided by defining singular spacetimes in terms of incomplete paths. However, it would be desirable for many reasons to have a characterization of a spacetime singularity in general relativity as, in some sense or other, a spatiotemporal “place.” If one had a precise characterization of a singularity in terms of points that are missing from spacetime, one might then be able to analyze the structure of the spacetime “locally at the singularity,” instead of taking troublesome, perhaps ill-defined limits along incomplete paths. Many discussions of singular structure in relativistic spacetimes, therefore, are premised on the idea that a singularity represents a point or set of points that in some sense or other is “missing” from the spacetime manifold, that spacetime has a “hole” or “tear” in it that we could fill in or patch by the appendage of a boundary to it. Force of analogy suggests that one define a spacetime to have points missing from it if and only if it contains incomplete, inextendible paths, and then try to use these incomplete paths to construct in some fashion or other new, properly situated points for the spacetime, the addition of which will make the previously inextendible paths extendible. These constructed points would then be our candidate singularities. Missing points on this view would correspond to a boundary for a singular spacetime—actual points of an extended spacetime at which paths incomplete in the original spacetime would terminate. (We will, therefore, alternate between speaking of missing points and speaking of boundary points, with no difference of sense intended.) The goal then is to construct this extended space using the incomplete paths as one's guide. Now, in trivial examples of spacetimes with missing points such as the one offered before, flat spacetime with a closed set in the shape of Ingrid Bergman excised from it, one does not need any technical machinery to add the missing points back in. One can do it by hand, as it were. Many spacetimes with incomplete paths, however, do not allow “missing points” to be attached in any obvious way by hand, as this example does. For this program to be viable, which is to say, in order to give substance to the idea that there really are points that in some sense ought to have been included in the spacetime in the first place, we require a physically natural completion procedure based on the incomplete paths that can be applied to incomplete paths in arbitrary spacetimes. Several problems with this program make themselves felt immediately. Consider, for example, an instance of spacetime representing the final state of the complete gravitational collapse of a spherically symmetric body resulting in a black hole. 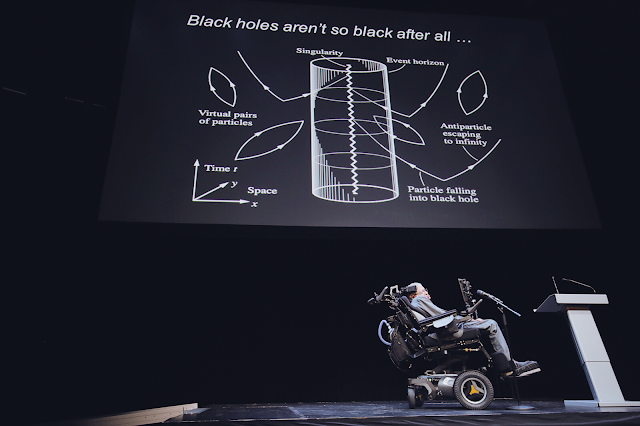 (See §3 below for a description of black holes.) 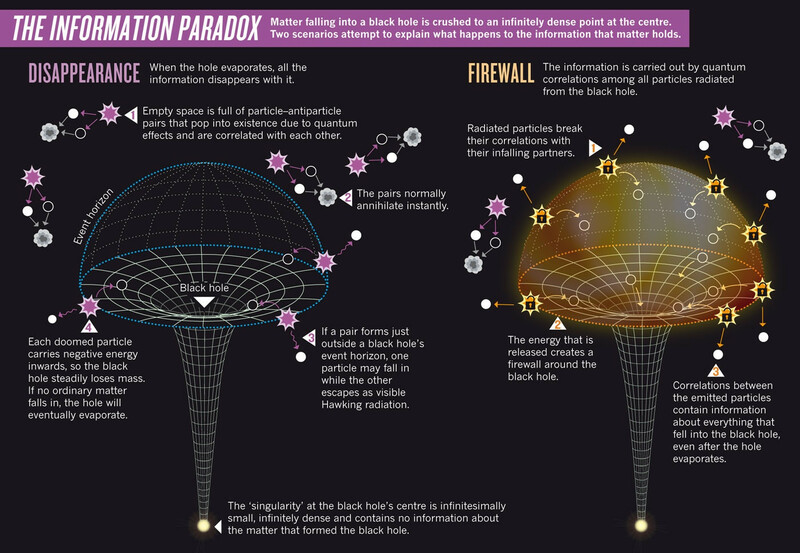 In this spacetime, any timelike path entering the black hole will necessarily be extendible for only a finite amount of proper time—it then “runs into the singularity” at the center of the black hole. In its usual presentation, however, there are no obvious points missing from the spacetime at all. It is, to all appearances, as complete as the Cartesian plane, excepting only for the existence of incomplete curves, no class of which indicates by itself a place in the manifold to add a point to it to make the paths in the class complete. Likewise, in our own spacetime every inextendible, past-directed timelike path is incomplete (and our spacetime is singular): they all “run into the Big Bang.” Insofar as there is no moment of time at which the Big Bang occurred (there is no moment of time at which time began, so to speak), there is no point to serve as the past endpoint of such a path. While the point of this project may seem at bottom identical to the path incompleteness account discussed in §1.1, insofar as singular structure will be defined by the presence of incomplete, inextendible paths, there is a crucial semantic and logical difference between the two. Here, the existence of the incomplete path is not taken itself to constitute the singular structure, but rather serves only as a marker for the presence of singular structure in the sense of missing points: the incomplete path is incomplete because it “runs into a hole” in the spacetime that, were it filled, would allow the path to be continued; this hole is the singular structure, and the points constructed to fill it compose its locus. It is perhaps surprising that the state of motion of the observer as it traverses an incomplete path (e.g. whether the observer is accelerating or spinning) can be decisive in determining the physical response of an object to the curvature pathology. Whether the object is spinning on its axis or not, for example, or accelerating slightly in the direction of motion, may determine whether the object gets crushed to zero volume along such a path or whether it survives (roughly) intact all the way along it, as in examples offered by Ellis and Schmidt (1977). The effect of the observer's state of motion on his or her experience of tidal forces can be even more pronounced than this. There are examples of spacetimes in which an observer cruising along a certain kind of path would experience unbounded tidal forces and so be torn apart, while another observer, in a certain technical sense approaching the same limiting point as the first observer, accelerating and decelerating in just the proper way, would experience a perfectly well-behaved tidal force, though she would approach as near as one likes to the other fellow who is in the midst of being ripped to shreds. It would seem, then, that curvature pathology as standardly quantified is not in any physical sense a well-defined property of a region of spacetime simpliciter. When we consider the curvature of four-dimensional spacetime, the motion of the device that we use to probe a region (as well as the nature of the device) becomes crucially important for the question of whether pathological behavior manifests itself. This fact raises questions about the nature of quantitative measures of properties of entities in general relativity, and what ought to count as observable, in the sense of reflecting the underlying physical structure of spacetime. Because apparently pathological phenomena may occur or not depending on the types of measurements one is performing, it does not seem that this pathology reflects anything about the state of spacetime itself, or at least not in any localizable way. What then may it reflect, if anything? Much work remains to be done by both physicists and by philosophers in this area, the determination of the nature of physical quantities in general relativity and what ought to count as an observable with intrinsic physical significance. See Bergmann (1977), Bergmann and Komar (1962), Bertotti (1962), Coleman and Korté (1992), and Rovelli (1991, 2001, 2002a, 2002b) for discussion of many different topics in this area, approached from several different perspectives.